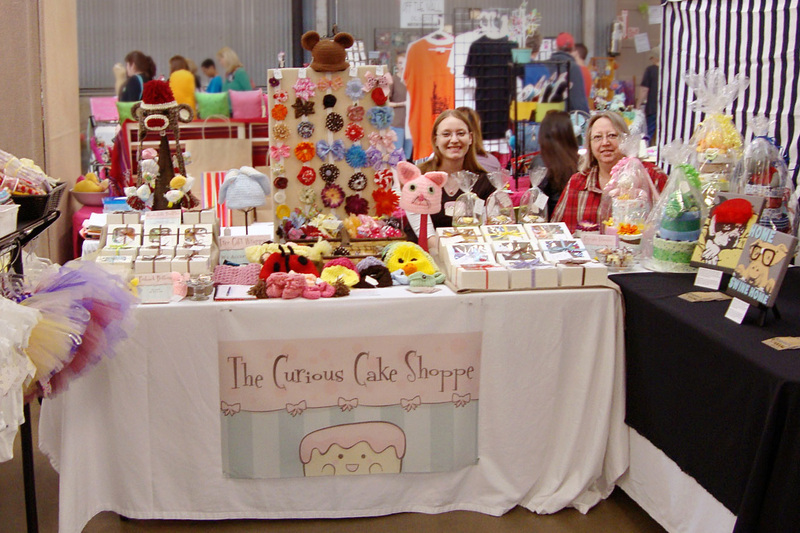 If you have been to one of our shows, you know that I operate both The Curious Canvas and The Curious Cake Shoppe. The Curious Cake Shoppe was where my mother and I made all sorts of goodies for children of all ages... a candy store for the imagination. You would have heard me sing my mom's praise in the products she brings to our table. 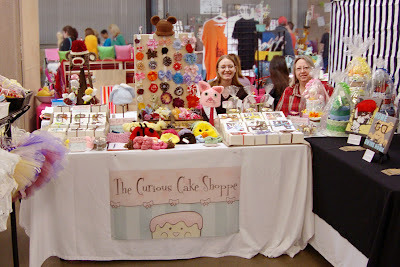 I am completely smitten with the amazing hats and booties she crocheted, the fun hair bows and fancy tutus, the adorable pacifier clips... her's was an imagination that truly knew no limits. Every time we spoke, she had a new idea for something great to bring to the shows for you. We would text pictures of our latest crafty creations back and forth and we were so excited to see you all this Fall. In June, my mother was suddenly taken from us. I have been living in a world without her light, and that is truly a dark place. This is why you haven't seen the new website I was going to surprise her with, or the neat products that she was going to surprise us all with. She was my crafty partner in crime and she never ceased to amaze me. This is why it has been so very quiet on the page. It is so very quiet in my heart now. This is the only picture I have of us together at a show. If you happen to have one in your stash, I would love to have a copy: orders@curiouscakeshoppe.com. I can't say if or when I will be back to the show circuit. I will still be selling my current inventory via the website and phone orders, but I'm not sure there will be any new canvases right now. Her's was a beautifully inspired mind and making these products for you all was truly her joy and peace in rough waters. For those of you who stopped by and told her how much you loved her work, I thank you. You brought sunshine to her life and for that, I will be forever grateful. 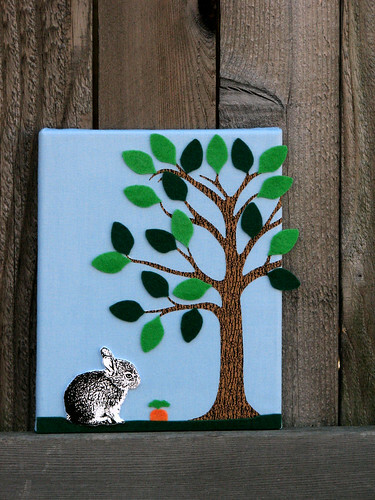 This landscape canvas features a cute cottontail rabbit standing before one of his grandest meals under the shade of a mature tree. The bunny has extra dimension, popping it from the background and bringing the canvas to life. The leaves and carrot are created from recycled eco-friendly felt. Limited Edition of (10) 8 X 10 Handmade Fabric Canvases, each numbered and signed with label of authenticity. 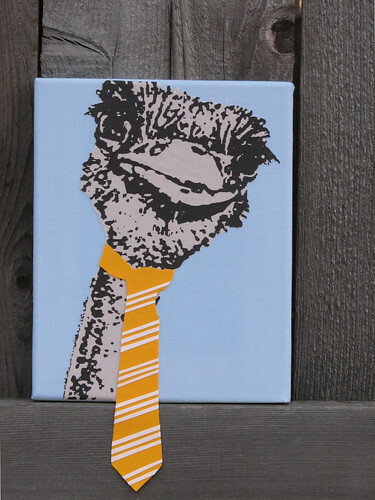 Canvas is 3/4" thick and comes ready to hang or can be placed on a table-top easel. "Craft Fair at the Market will feature the distinctive hand-created work of many local craftsmen and women. FREE admission and one of a kind affordable gifts. Weather Permitting. Bike and pet friendly event." Check back, more shows will be added soon! 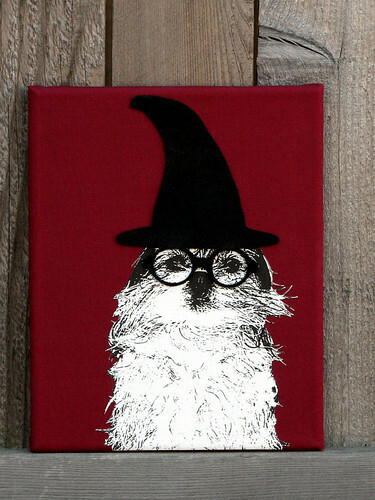 This canvas features our favorite, furry wizard sporting his Magical Hat (+150 Spell Power) and glasses (+350 Intellect). These very rare drops are created from eco-friendly felt made from recycled (magical) plastic bottles. Reference photography also by The Curious Canvas. 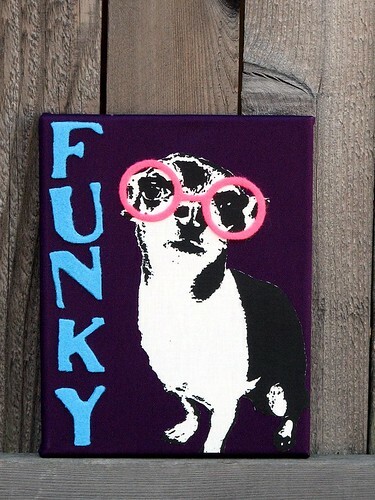 This canvas features a funky fabulous pup that is ready to take on the world. Reference photography was provided by Jessica of Funky Finds. 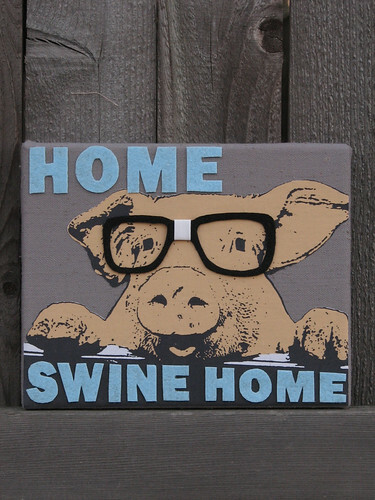 The glasses and text have been created from eco-friendly felt made from recycled plastic bottles. Limited Edition of (10) 8 X 10 Handmade Fabric Canvases, each numbered and signed with label of authenticity. Comes ready to hang or can be placed on a table-top easel.